Politicians in India seem to have a natural flair when it comes to making completely ridiculous and outrageous statements. 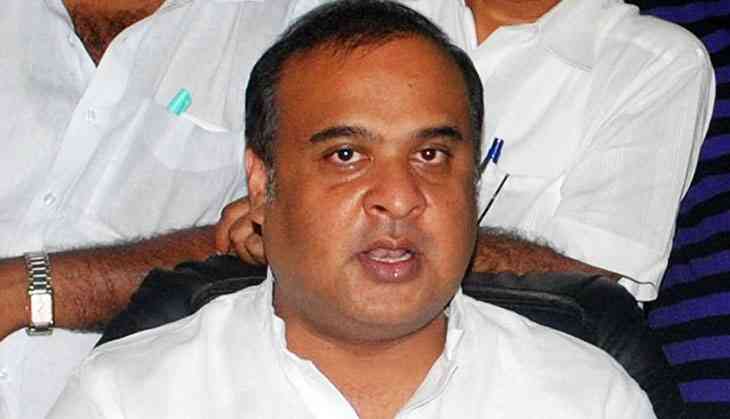 Assam's health minister, BJP leader Himanta Biswa Sarma, is the latest in that long list. Sarma's comment about cancer being divine justice has stirred up quite a storm and the minister has been facing a lot of flack, and justifiably so. Both on social media and media, people including other politicians have been demanding he retracts his statement immediately. In an event in Guwahati, Sarma said that life-threatening diseases such as cancer and accidents were consequences of sins committed in the past. He even referred to them as “divine justice”. He went on to say that the same is mentioned in the Gita and the Bible. “God makes us suffer when we sin. Sometimes we come across young men getting inflicted with cancer or young men meeting with accidents. If you observe the background, you will come to know that it's divine justice, and nothing else. We have to suffer that divine justice,” he said. “In this lifetime or in our previous life, or perhaps my father or mother... perhaps that young man did not do but his father has done something wrong. It is mentioned even in Gita, Bible about the outcome of one's actions. No point in being sad... all will get the outcome of this life's actions in this life only. That divine justice always will be there. Nobody can escape the divine justice that will happen,” he added. Sarma was speaking at a function organised for the distribution of appointment letters to teachers. Hemanta Biswa Sarma says that cancer is divine justice for sins committed . That such a person is minister is divine injustice . Senior Congress leader P Chidambaram's also responded to Sarma’s comment. “The minister’s remark is inappropriate. One cannot expect a health minister of the state to make comment like this over cancer sufferers and patients,” Assam’s Dr B Barooah Cancer Institute's Medical Superintendent Dr BB Borthakur told PTI. Dr Gauri Kapoor, an oncologist in the Rajiv Gandhi Cancer Institute and Research Centre in Delhi feels that a comment such as this is derogatory to the millions of cancer patients in the country. “What he is essentially saying is that one is suffering from cancer because the person committed sins in their lives and this is divine justice. How can a health minister make such regressive and outlandish statements? It’s embarrassing honestly. And what about the cancer survivors? How did they escape divine justice? I would love to hear the minister’s explanation about that. I feel that one should not give any importance to comments like these,” Kapoor said. Then what is the point of having a health ministry and a health minister? If diseases are consequences of Karma what is the need of medical science? Sarma was inducted by the BJP months before Assembly elections in Assam. Sarma was instrumental in obtaining a win for the BJP for the first time ever in the state, uprooting his former mentor Congressman Tarun Gogoi, who was chief minister of the state for 15 years. Since then Sarma has strategically delivered two more north-east states – Manipur and Arunachal Pradesh – to the BJP.